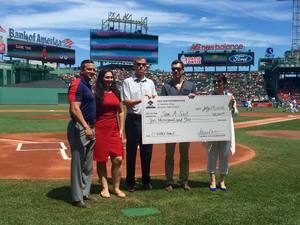 Save-A-Suit, a CT based 501(c)3 veterans nonprofit, was awarded $3,000 from the Boston Red Sox Foundation for their outstanding efforts in helping the veteran community. This was part of the foundation’s annual IMPACT Awards contest. This is the second consecutive year that Save-A-Suit has been awarded by the foundation. Last year, the nonprofit received the first place prize of $10,000. Save-A-Suit has provided thousands of veterans across the country with professional business attire to assist them with their career goals. The nonprofit also hosts quarterly events in the Tri-State area to help local veterans. If anyone would like to donate a suit or make a contribution, they may visit www.saveasuit.org. For more information about Save-A-Suit, visit www.saveasuit.org. Follow us on Twitter, Facebook, and Instagram.